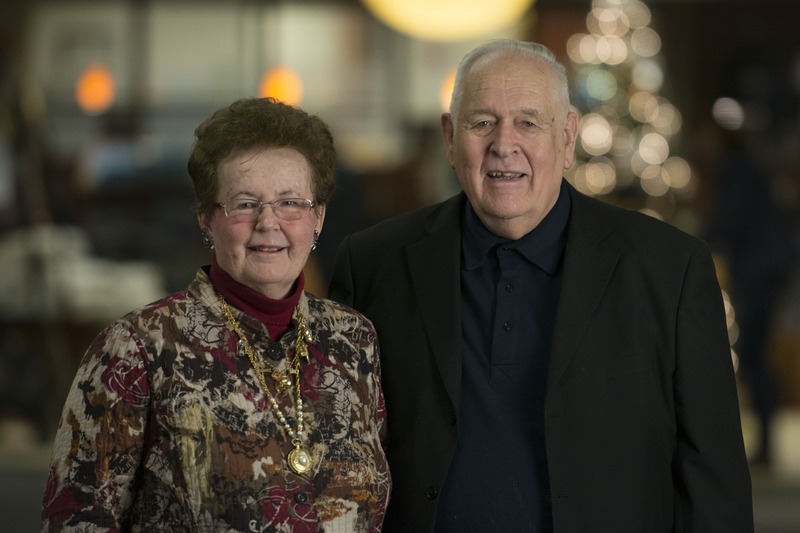 Part-time pastor Chuck Rehman S’60 and his wife, Jan ’53, receive a fixed monthly income through their charitable gift annuity that helps them pay for unplanned expenses in retirement. Chuck Rehman S’60 will always remember May 27, 1954, as the day he laughed at the devil. Then a senior in college, Rehman was searching for what he called “a good philosophy of life”—and that night, he found one at a Christian fellowship group. While he was walking home, he says he heard a voice tell him to stop and undo the decision he’d made to commit his life to Christ. Rehman snorted, went to seminary, and never looked back. Four college degrees and 63 years later, Rehman is a part-time pastor, grandparent, and avid postcard collector. He’s also a financial supporter of Bethel University, where he, his wife Jan ’53, and most of their children received an education. 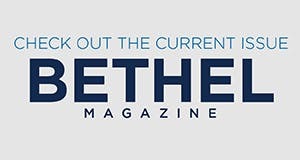 After selling their cabin, the Rehmans donated some of the profits to Bethel through a charitable gift annuity, which provides them with a fixed monthly income that helps pay for things like long-term healthcare. Rehman gives because he and his family received a good education at Bethel. He gives because his son-in-law, Neal Dutton, is an associate professor of human kinetics and applied health science at Bethel. And he gives because he believes in Bethel’s emphasis on spiritual life and holistic development in the lives of young people. It’s been a long time since he heard the devil on those railroad tracks, but Rehman still laughs at the thought of abandoning his faith. It changed his life, and he wants the same kind of transformation for the students he sees at Bethel.